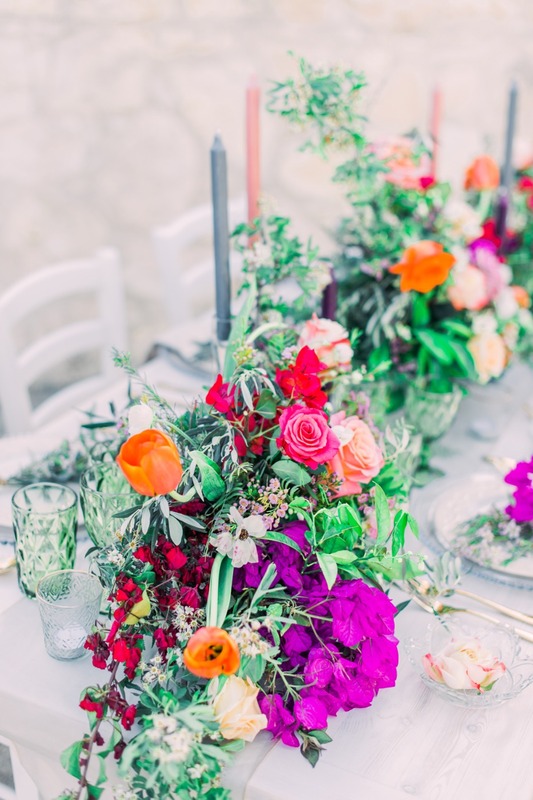 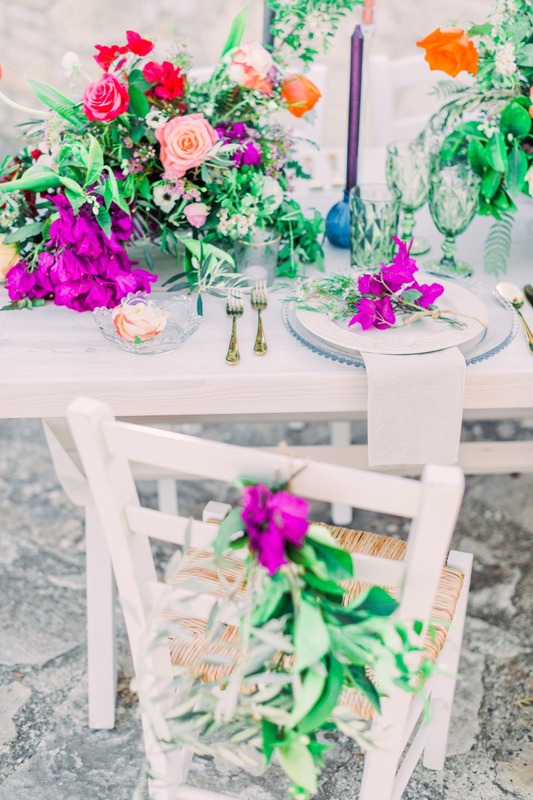 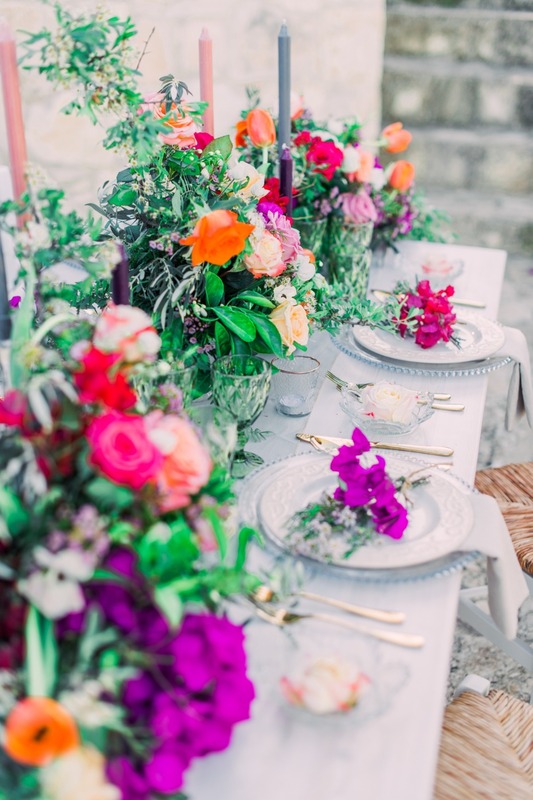 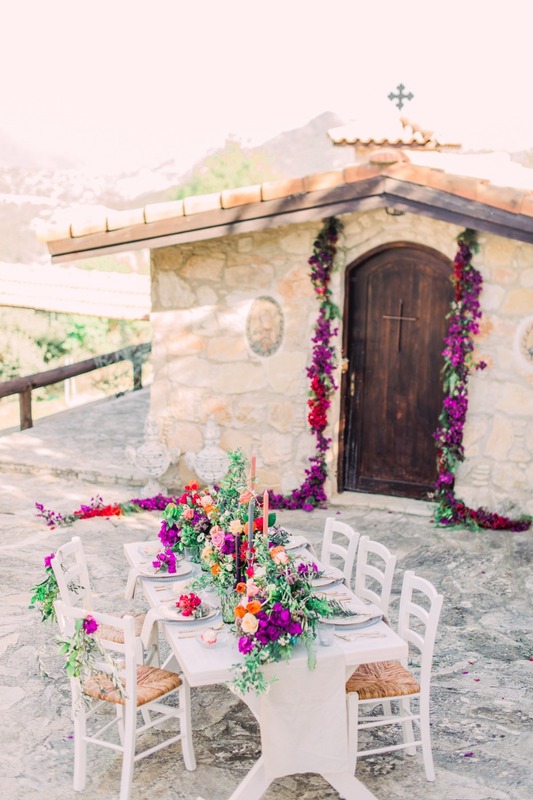 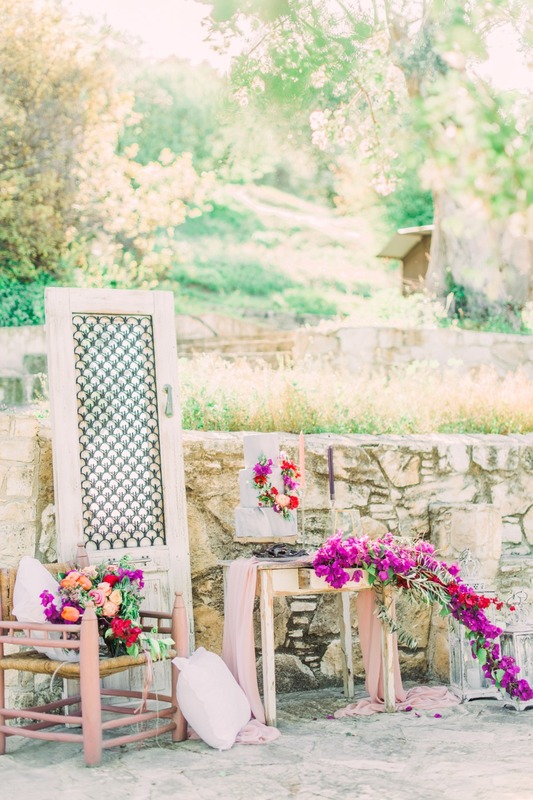 This next wedding inspiration high up in the Apesia hills in Cyprus is boho fabulous from start to finish. 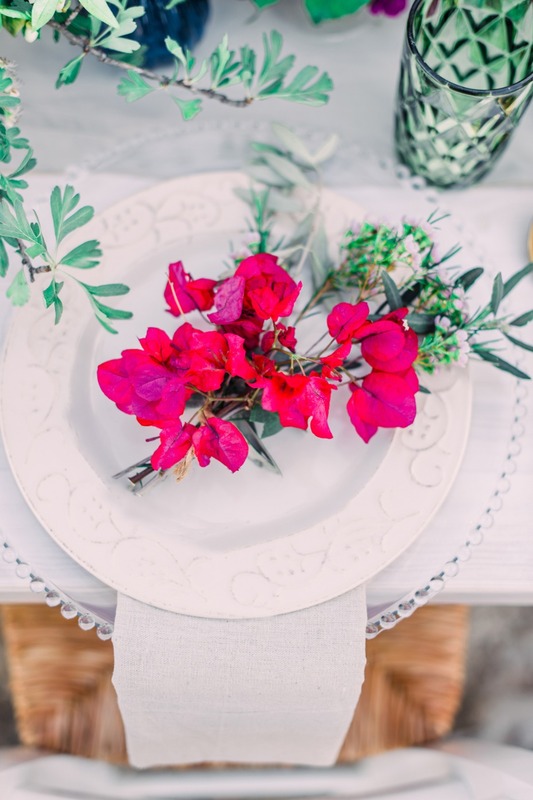 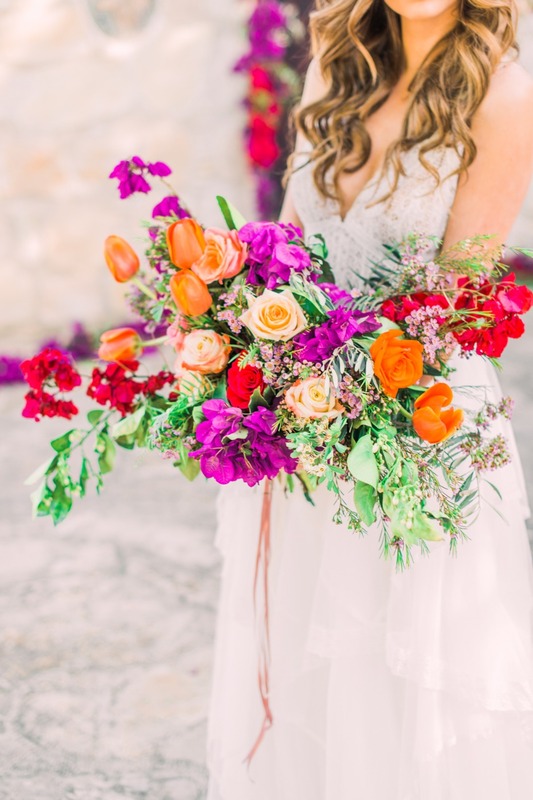 The inspired day was created by a group of talented vendors with a boho meets traditional vibe filled with vibrant colors and gorgeous blooms. 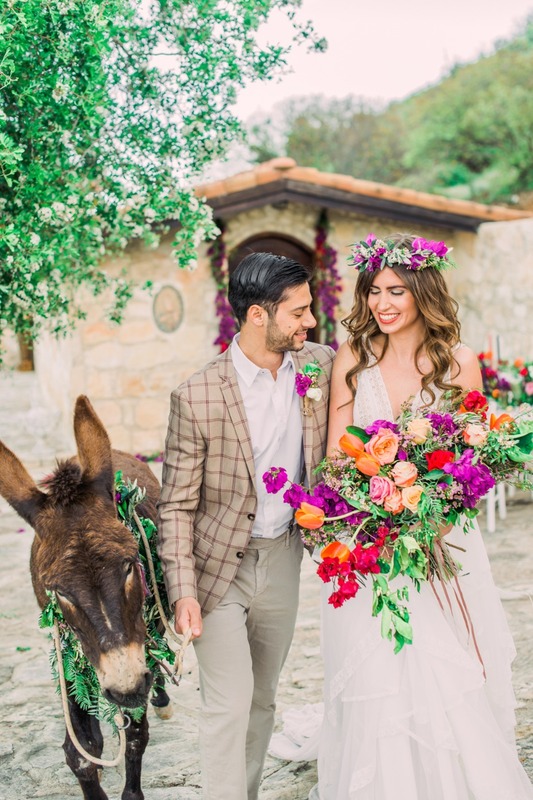 The picturesque setting adds to the more traditional tone, while the bride and groom each look stylishly on-point for this festive occasion. 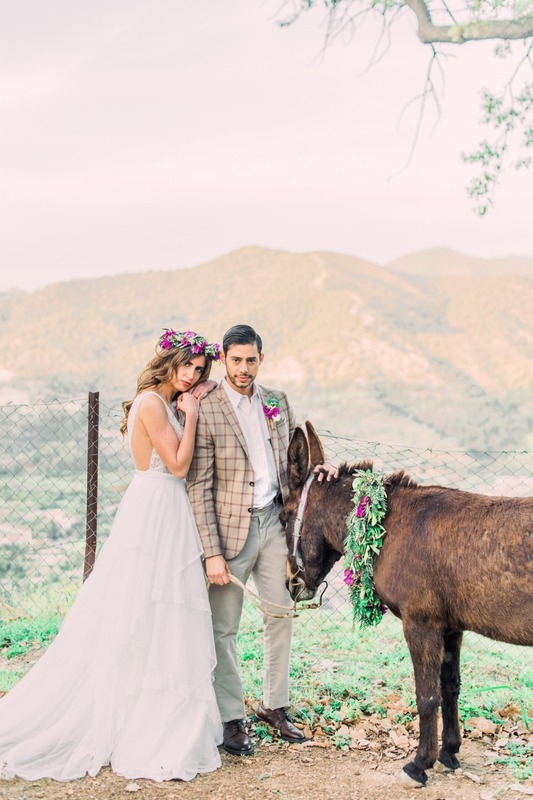 And how about Orestis, the wedding donkey? 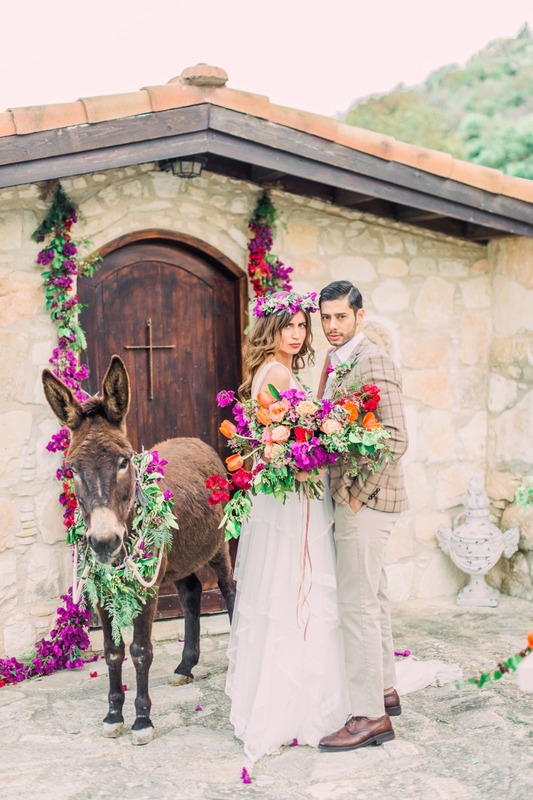 As cute as can be! 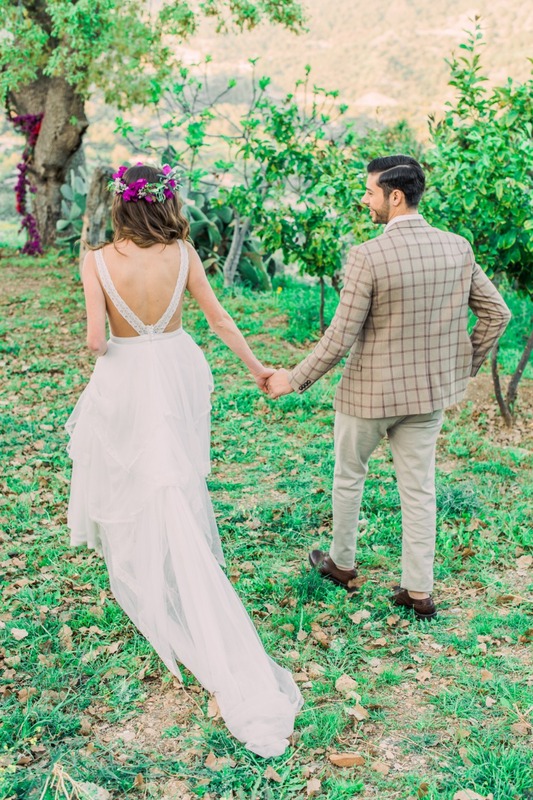 See more highlights from this shoot below, and check out the entire day in the full gallery captured by Antonis Prodromou. 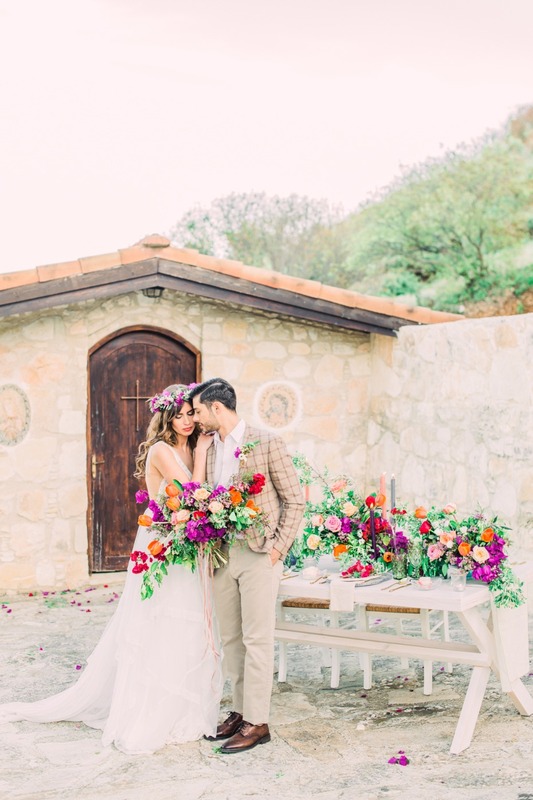 From Antonis Prodromou: Traditional Meets Boho Style High in the Apesia hills, amid breath-taking landscape, and below a clear blue sky, the setting for our traditional meets boho style wedding was adorned with flowers of pinks, fuchsia, ripe orange and delicate creams. 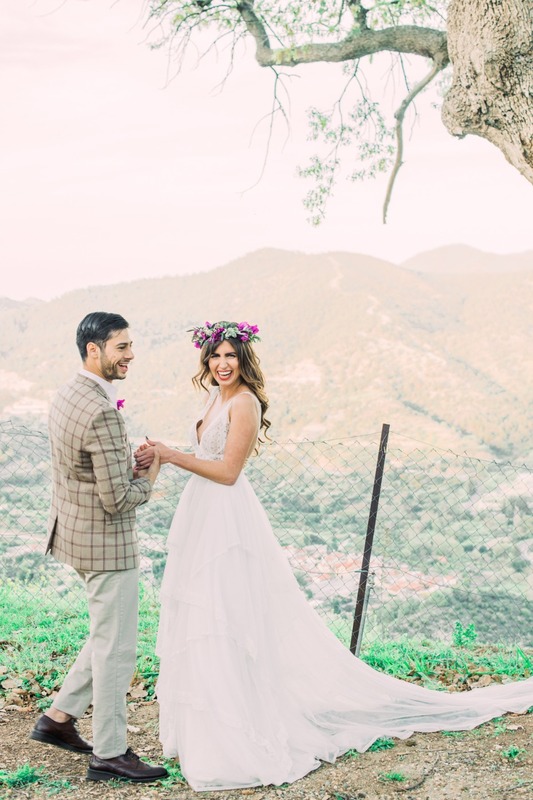 This was a wedding shoot like no other, and as we all trod the winding land and took in the incredible views, we couldn’t help feel we were creating something very special. 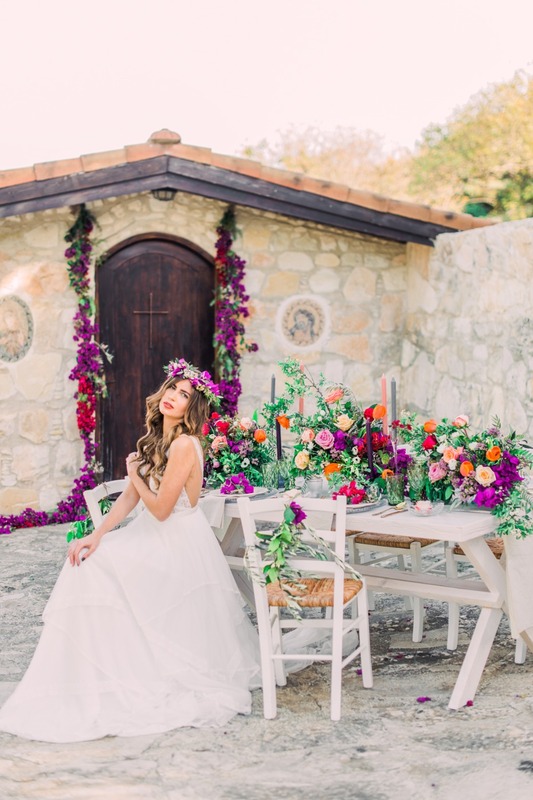 Our model bride, Jo Tumasonytė, loosely held a cascading bouquet of soft tulips and fresh scented roses, while a boho style garland of fuchsia and white was her earthy headdress. 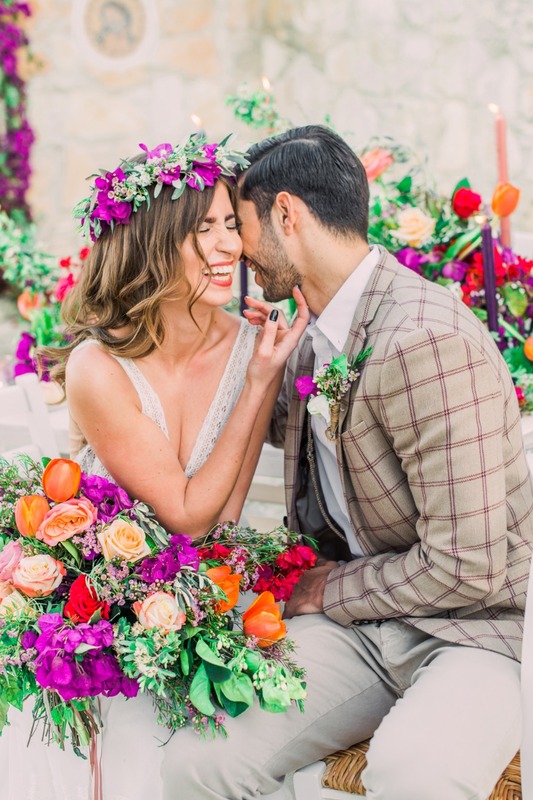 These incredible floral creations were the work of Lucianna Wedding Creations and Events, and this set the pace for a wild and natural atmospheric shoot. 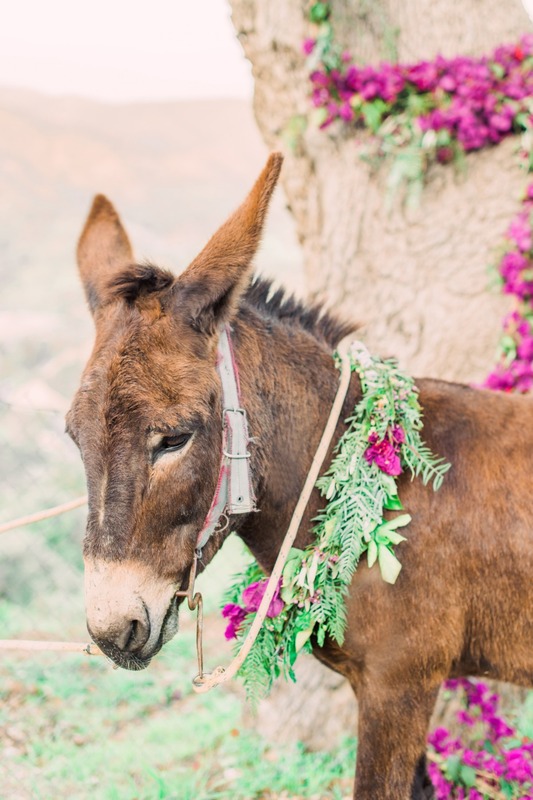 We chose the Apesia Donkey Farm for this wedding because we wanted to show that a traditional wedding can go hand in hand with boho style perfectly, and every bride and groom who want to bring influences of their style together in this way can achieve something very memorable. 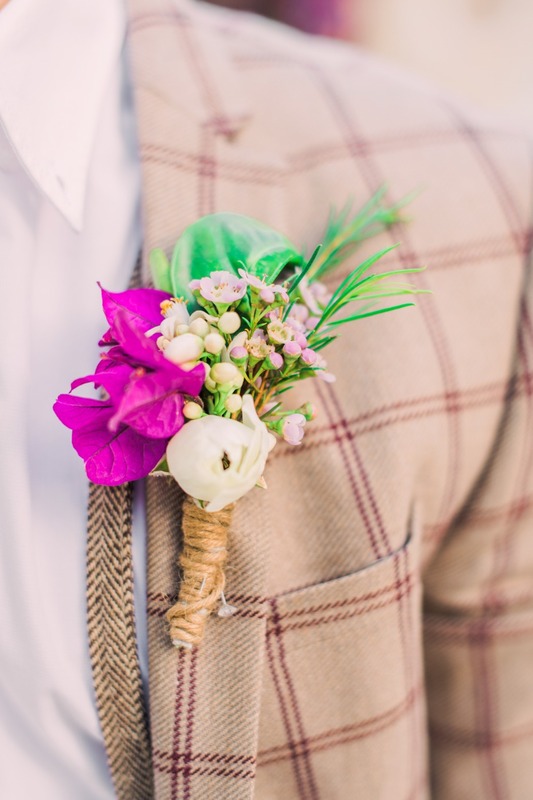 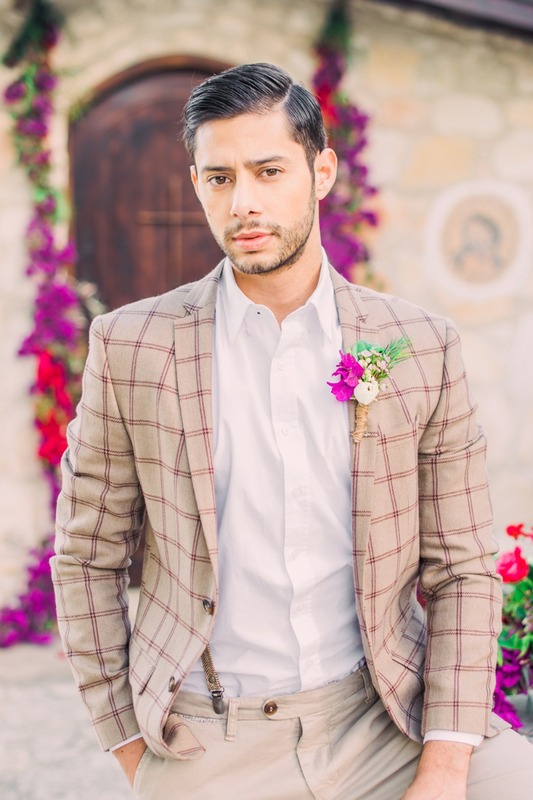 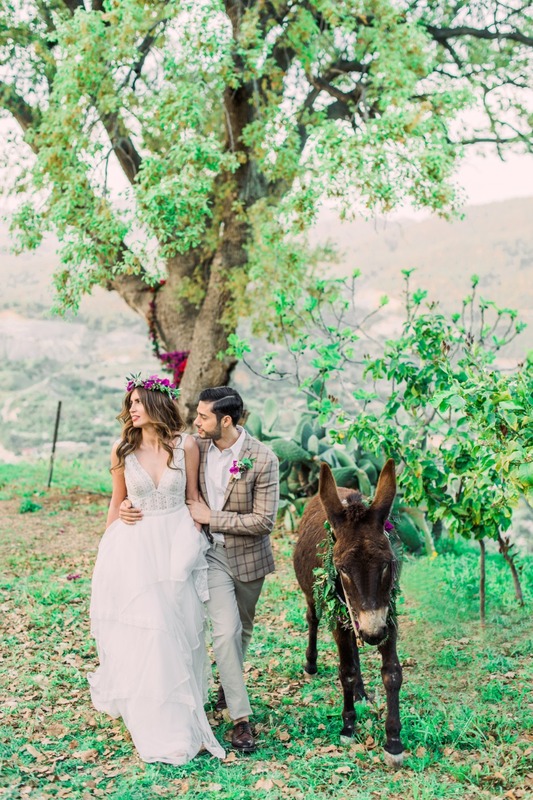 With the wild and sweeping hills as our backdrop, our model groom, Lenos Yiannou, wore a country wedding suit from Dash Boutique, which added to the rural feel of the whole day. 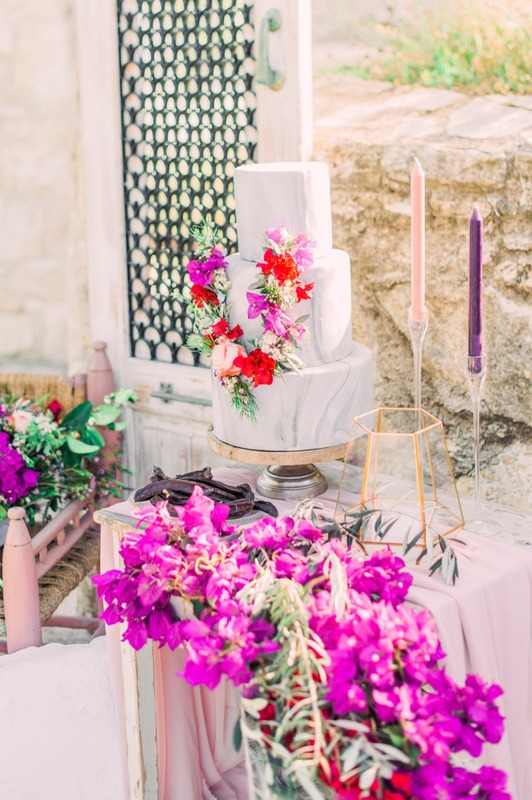 The simple and classic wedding cake by Warrawong was set atop rustic tables and chairs by Party City Rentals, and sophistication met shabby-chic in the perfect marriage of styles. 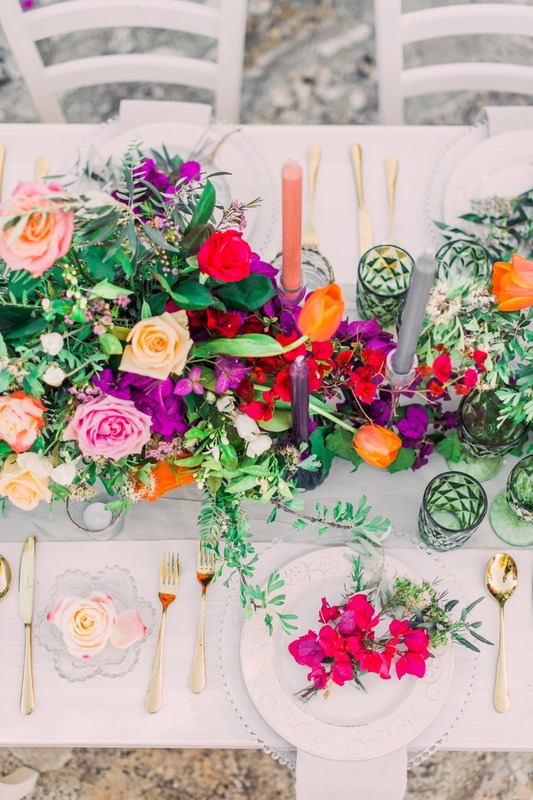 Check out the wedding film from The Flamingo Society below to get a closer look at this boho meets traditional wedding inspiration.